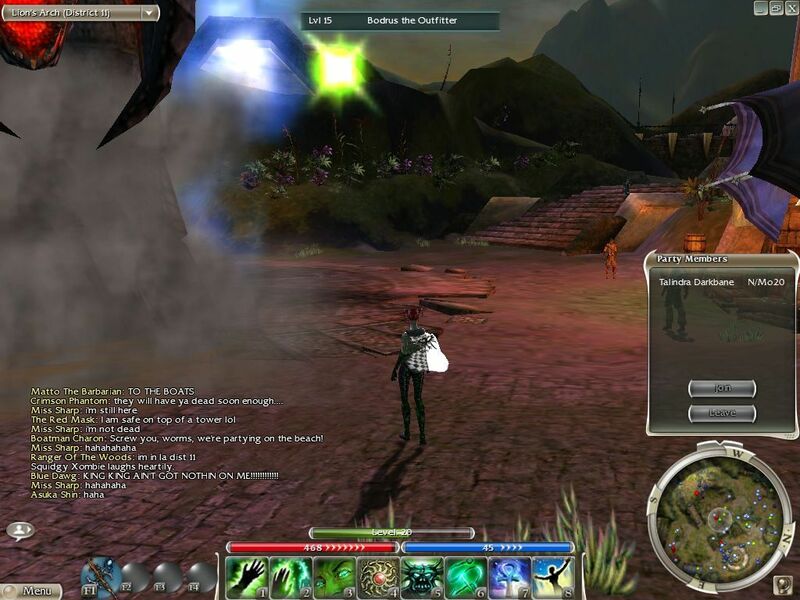 This time I cover a very important period in Guild Wars’ history: the release of the game! 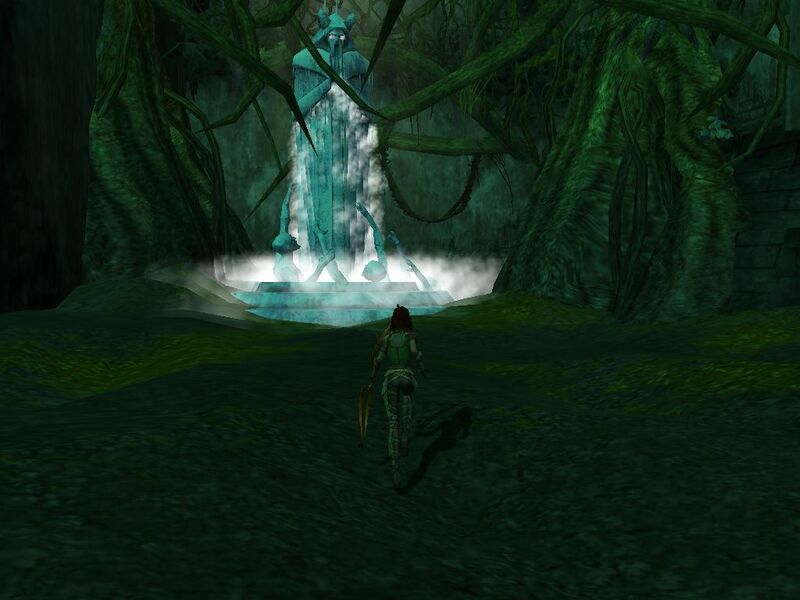 First, though, came the final beta test in April 2005. 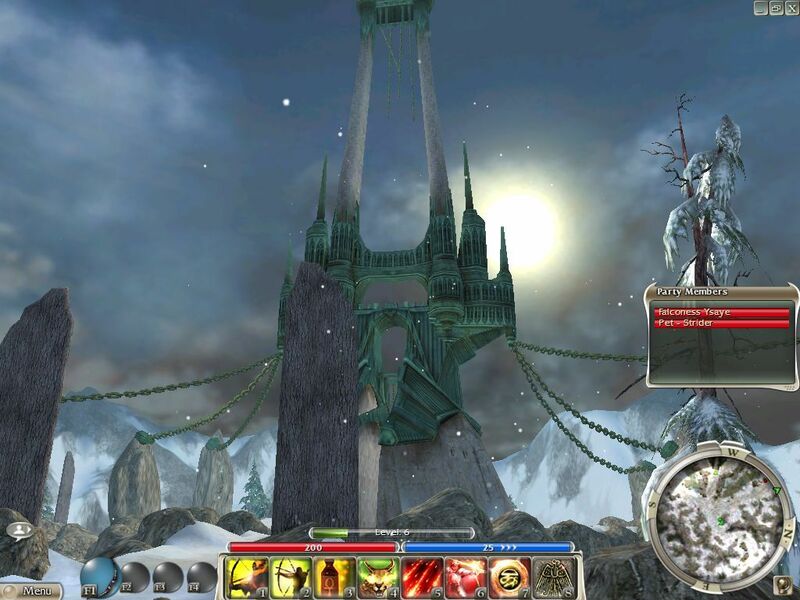 Then in May, the game released. I’ll cover both the April BWE and the first two days of release in this post. I will explain in the “Preorder Release” (first two days) section below why it’s that period of time in specific. I was going to put these in two separate posts, but I decided to merge them together. That means this has the most images of any posts in this series, about 80. I know that’s a lot, sorry about that. 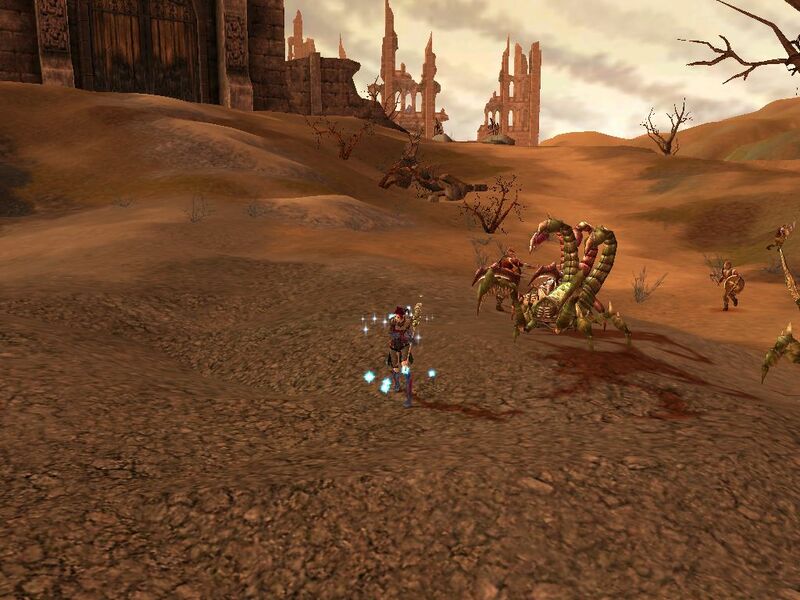 In April 2005, Guild Wars finally had its last Beta Weekend Event. There was only one month to go before release, and the game was in great shape! 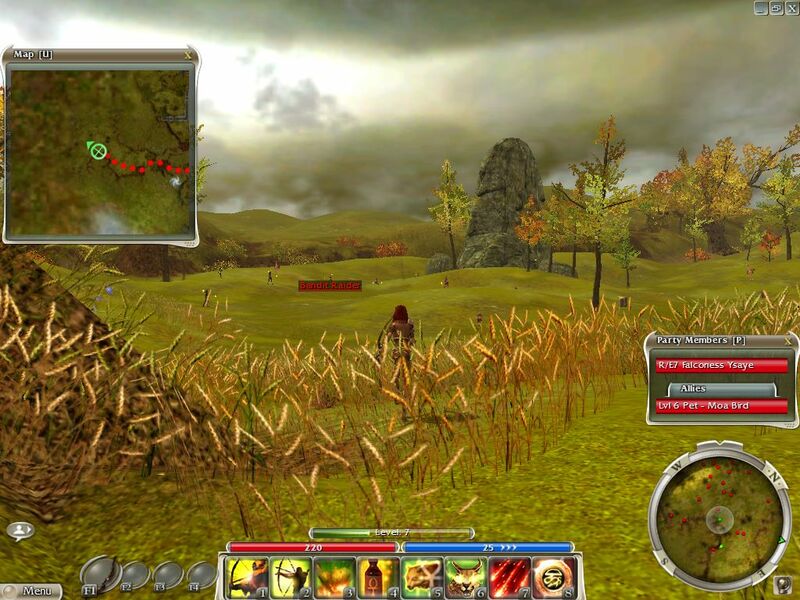 Indeed, apart from the amount of the game we couldn’t play — excepting previously available areas the Shiverpeaks and Crystal Desert were still mostly unavailable, along with most of the Fire Islands — Guild Wars was almost in release form in this test. 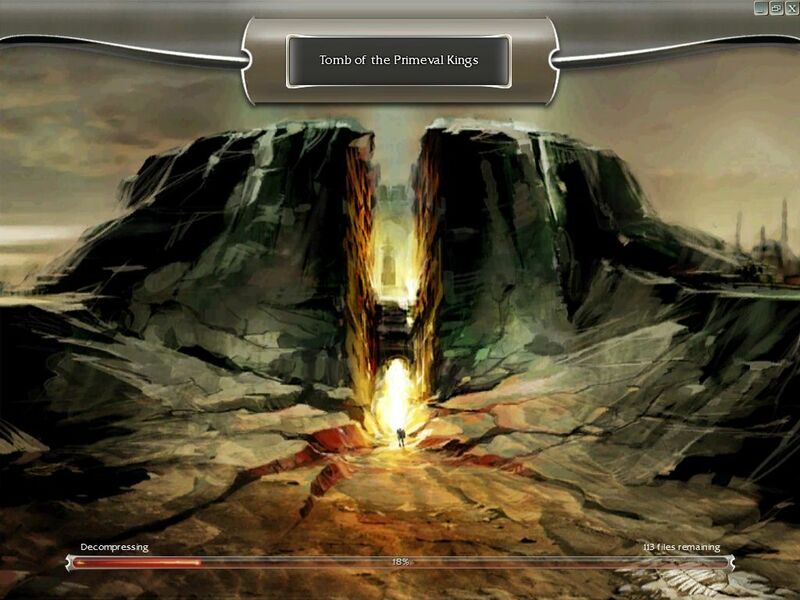 Most notably, the final interface is finally here! 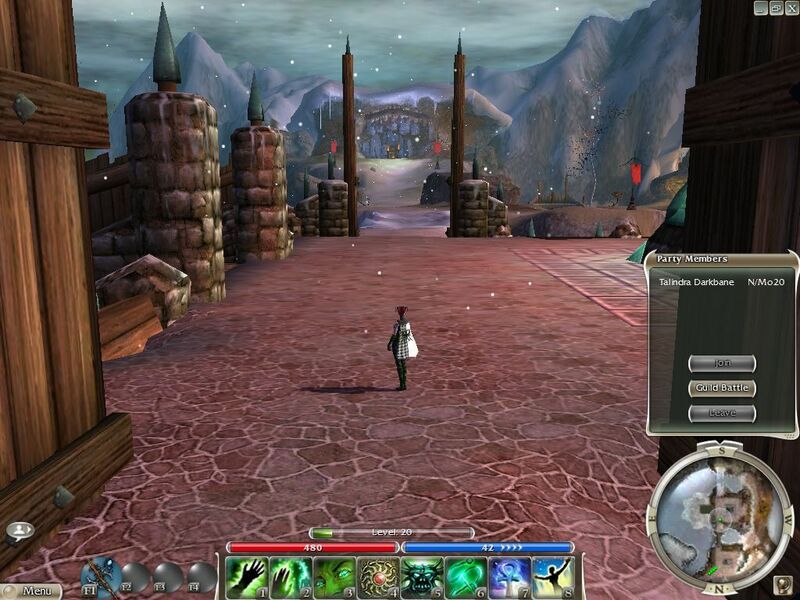 Yes, after almost a year, the look of Guild Wars’ interface that any GW player knows finally comes into appearance. 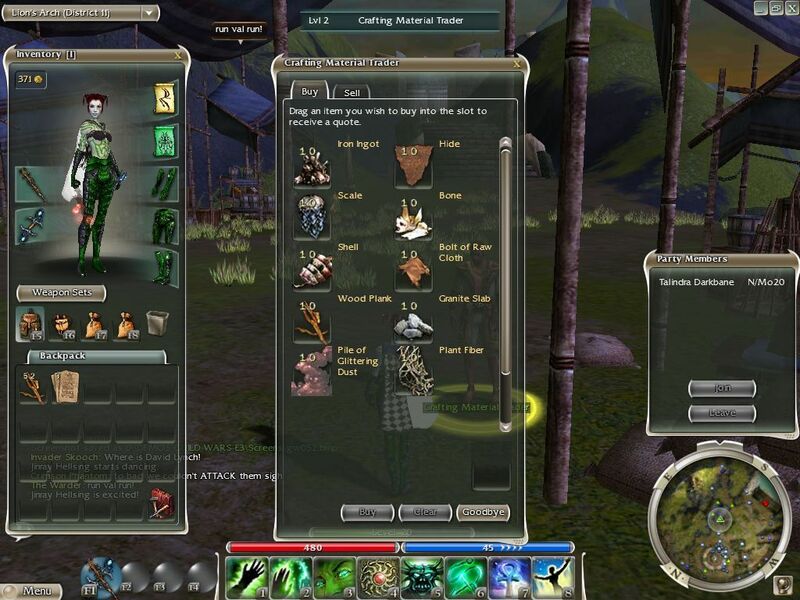 The look of the minimap and skillbar, the menus, customizable interface where you can drag any interface element to any point on the screen, all of it’s been totally redone since the previous beta, and it would not be changed again, apart from some additions that Nightfall made for Hero and Henchmen control; note how those buttons below the minimap aren’t there yet, and won’t be until late 2006. Until then you could not control Henchmen or tell them to stay at a point, and Heroes did not exist. This put much more of a focus on player groups, which I loved. 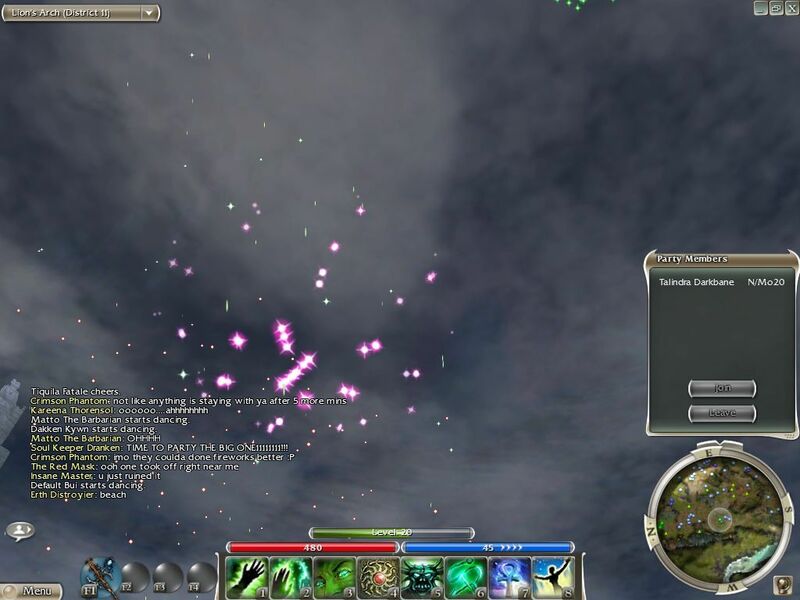 The addition o Heroes and being able to give your AI party members more direct movement controls is fantastic for solo Guild Wars, but it helped destroy something I really loved about the game, finding random human groups for missions. I’m very glad I played GW before Heroes were added. Sure, when playing the game now you’re grateful for them because finding human groups would be difficult regardless, but Heroes have both positives and negatives. But anyway, that’s getting well ahead of things. 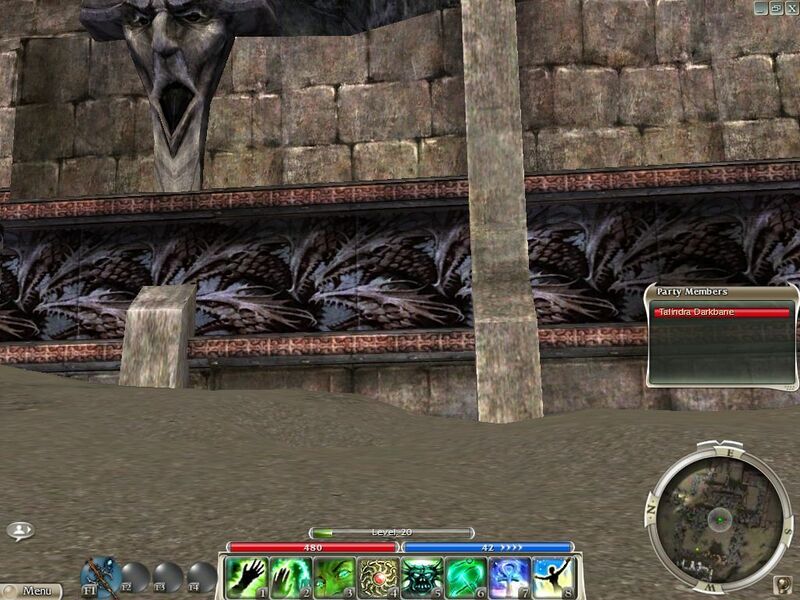 Returning to Guild Wars as it was in April 2005, the added customization is great, but I have always missed that Map button that used to exist to the lower right of the minimap, so I added it back in by dragging a Map icon there from the menu on the lower left. You can add any of the lower-left menu buttons to the screen anywhere, but that’s the only one I’ve ever put on screen. It doesn’t look nearly as nice as those integrated map buttons from the previous betas, sadly, but it’s better than nothing. I wish you could use the old map graphics with the integrated overworld map button. Also, readers will notice that while you can move all of the icons around, I don’t do it; I’ve kept the whole GW interface in the same exact places it has been since I first played the game in May 2004, with the map in the lower right, skillbar in the bottom center, spell effects in the upper left, and such. I know many people move things around, but I don’t like change without purpose and the interface as it was works great. Besides the interface though, which is a big thing, there isn’t too much to say about this beta. By looking at my screenshots, I clearly was just wandering around doing not a whole lot, and that is reflected below. Of the 49 screenshots here, about half are from the closing event and half are from before that, but I was just playing little bits as all three of my main characters and such, nothing too special. Everyone playing knew that a full server reset was coming after this beta, so trying to make progress in the game or get items felt pointless when it’d all be gone in a few days. If you read the chatlogs in these screenshots, there’s less item trading and more discussion about the coming final server wipe, understandably. The previous wipe had, again, been between the December and January betas, so we’d had four weekend beta tests to build these characters up, quite a while in beta terms. I took a screenshot near the end showing how much time I’d played as Talindra during those four months, but sadly didn’t do so for the other characters and again the account-wide time-played counter still was not in the game yet, so I don’t know how much time I spent in Guild Wars pre-release overall. My best guess has always been 150 to 200 hours, and after going through all these screenshots again I still think that’s probably about right. 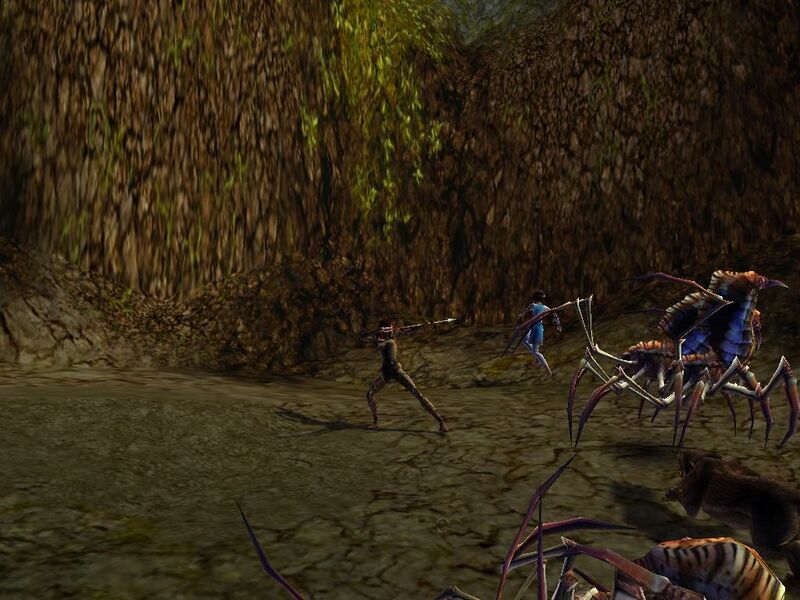 I’m sure there were people who played the betas more than me, but considering the limited number of days and that I was in college I played this game a whole lot pre-release. My memories of the GW betas are some of my favorites from gaming. So, on to the screenshots. Starting out, I took screenshots again of four loading screens. I’m not sure why, except that GW’s concept art is outstanding, I’ve always loved it at least as much as the actual in-game models. Also… 1060 files remaining? That probably took a little while, though thankfully the files were small; GW is not a huge game. More fantastic concept art for this beautiful game. While these screenshot-as-loading screen deals have always been the worst. The contrast between the amazing concept art and this stuff sure is stark. And now for some actual gameplay. First, a match from the random arena. 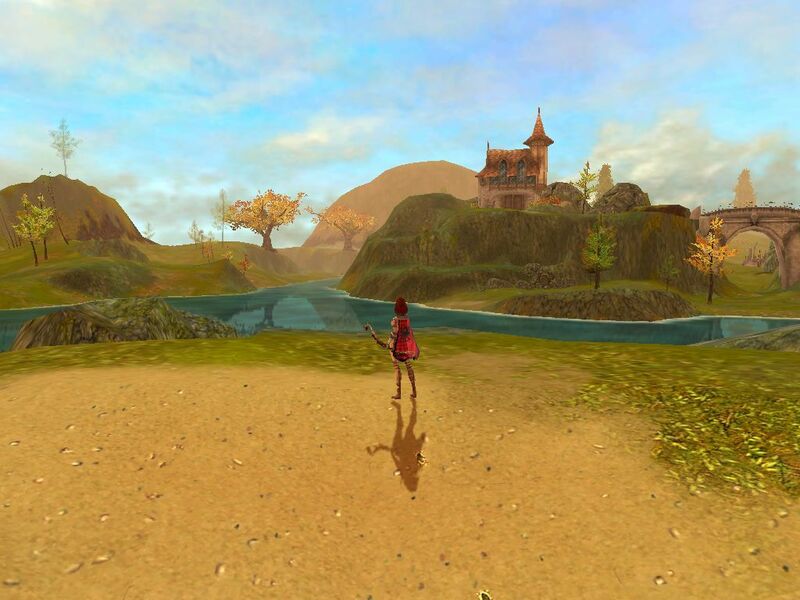 At this point, for anyone who does not know, the Battle Isles did not exist; those would be added in 2006. 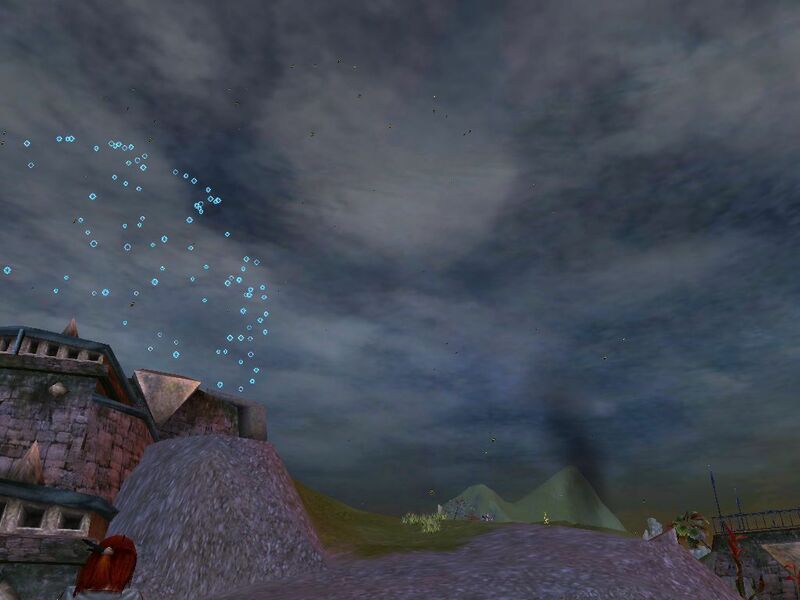 Instead, each arena was a solo affair, tiered by the player levels allowed there. 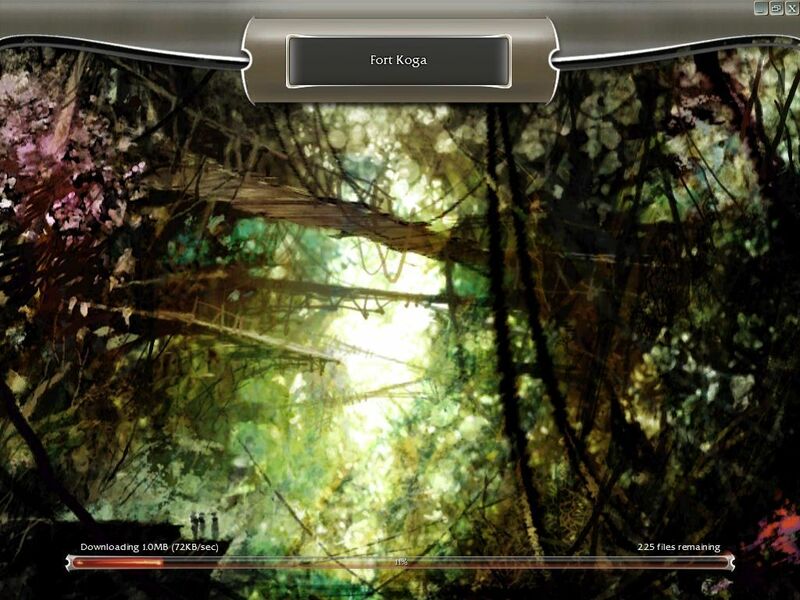 The top-level random arena was at Fort Koga, so that’s the map you saw most of the time. 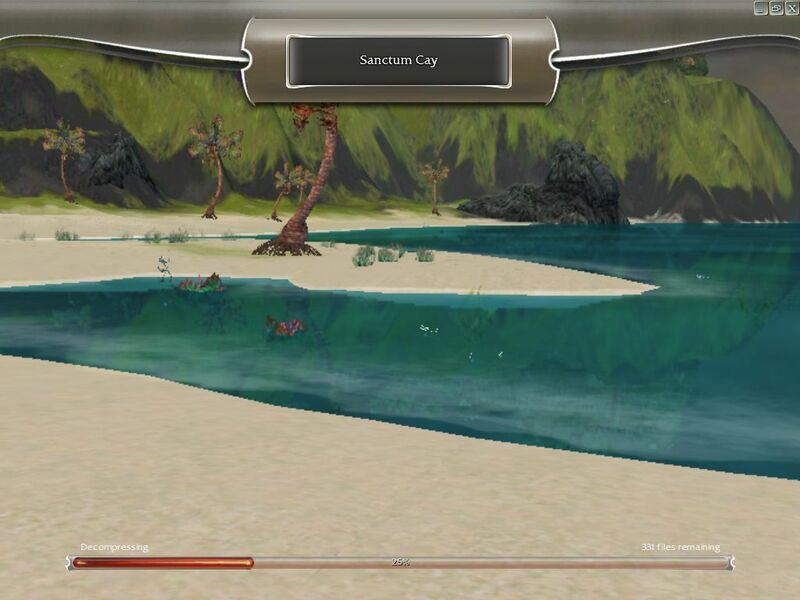 After the introduction of the Battle Isles, a Random Arena with randomized play of a bunch of maps replaced this. The lower level arenas still do exist in the game, but upper-level ones like this are only in the rotation. It’s a nice improvement, because just seeing one map all of the time did get boring. The Crag, on the Fire Islands? Was this new for this beta? I sure don’t remember it before! That’s a pretty cool inclusion. It doesn’t look like it went well at all for us, though… But on another note, I find it interesting and kind of weird to see how often I’m changing costumes on Talindra here; I’ve had just one, the elite scarpattern armor, on ever since I bought it in late 2005, so seeing new clothes every couple of screenshots is kind of neat. 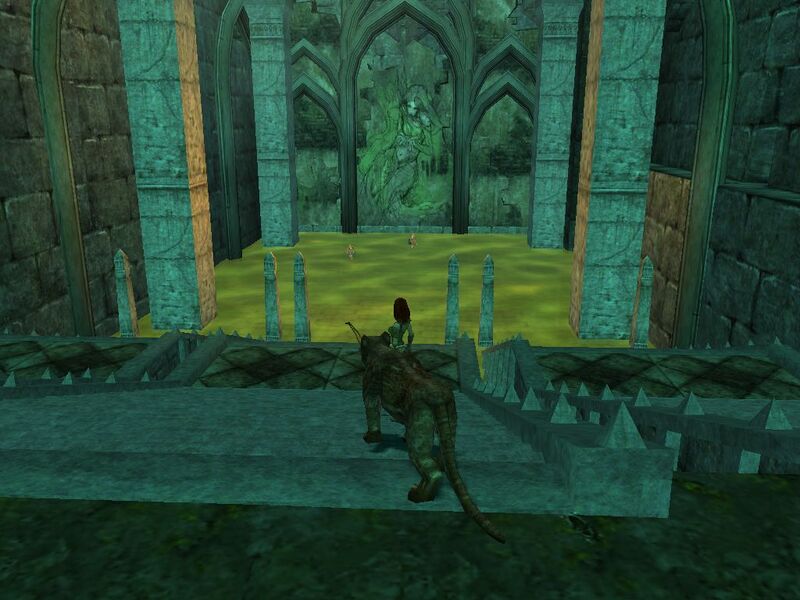 And here we see a team led by me in Tombs! this is right at the start of the match and is the only shot I have of the match so it probably didn’t go great, but that’s pretty cool. I don’t think this has happened again since. More fantastic loading screen art. 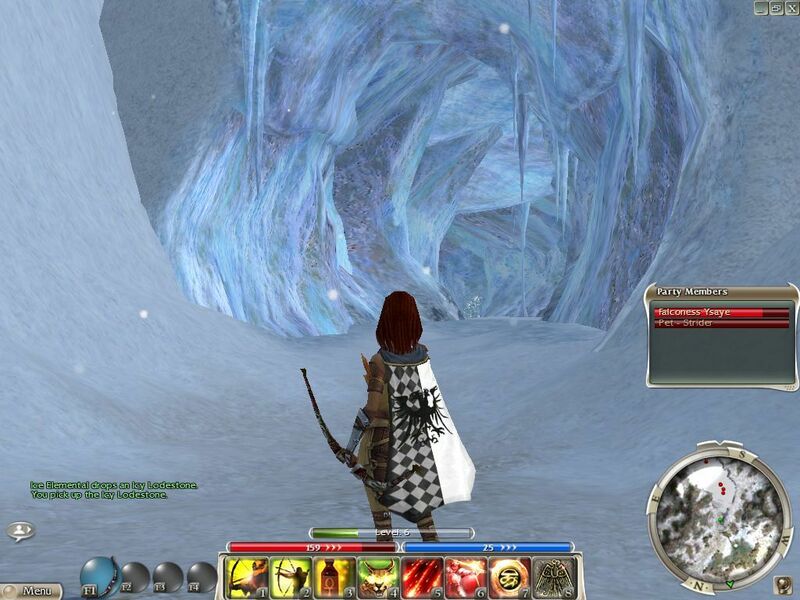 So, as that last loading screen and the ice cave shot suggested, my ranger is in pre-Searing this test apparently. 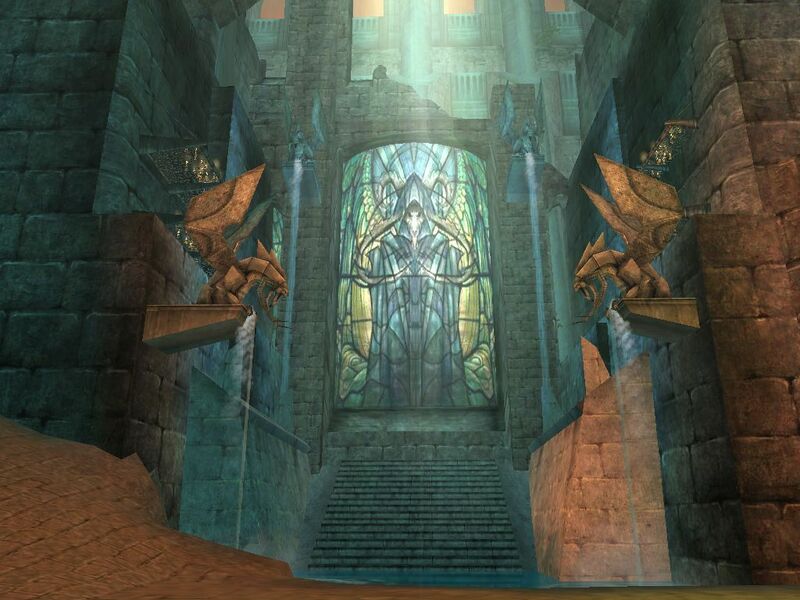 The reality of the ingame graphics can’t match the art, of course, but it does look nice. I took screenshots here of all four characters, so as to make it easier to recreate them as close as possible in the release game; you kept your character names but not anything else, and had to make your characters again. I’ll only post this first shot. 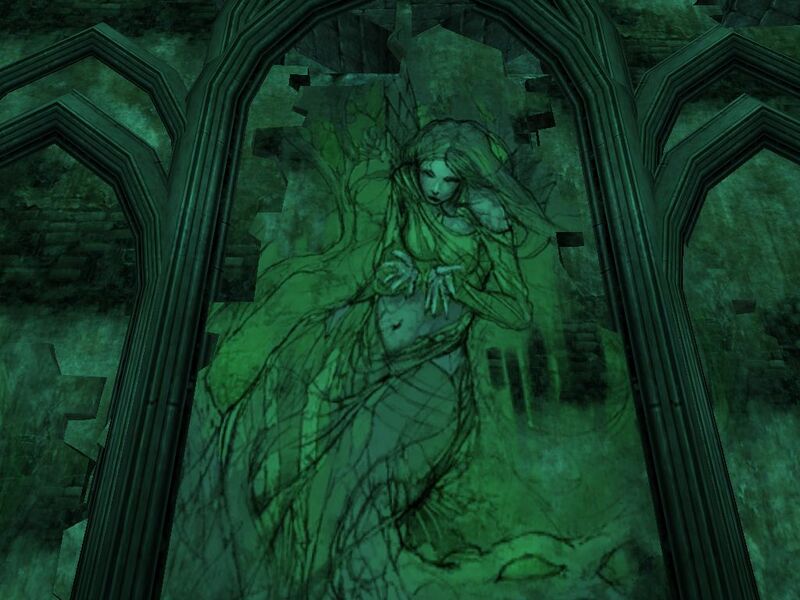 Here’s a stained glass window of Grenth in the Ascalon Catacombs of pre-Searing. It’s a particuarly impressive scene to run across. 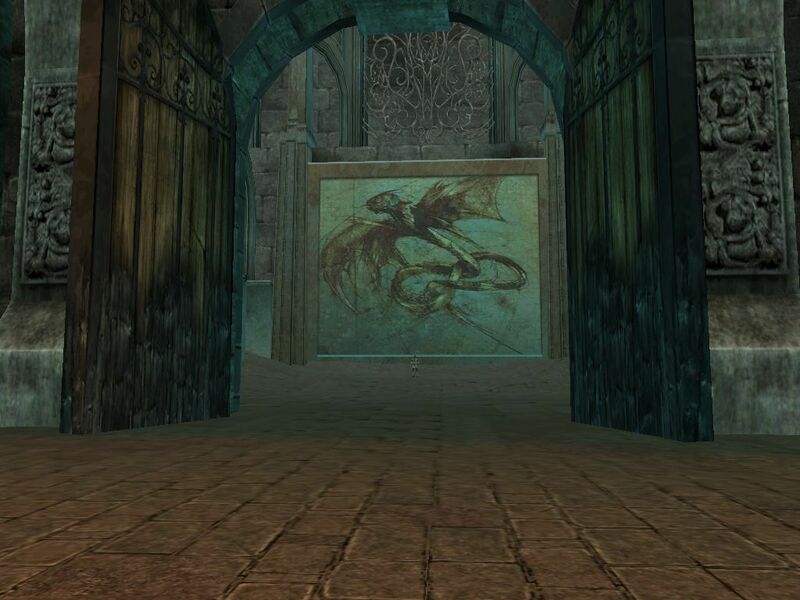 And here’s a painting of a dragon in the Catacombs. The framing here, with the column of light extending into the gap between the two sides of the open roof, is impressive. 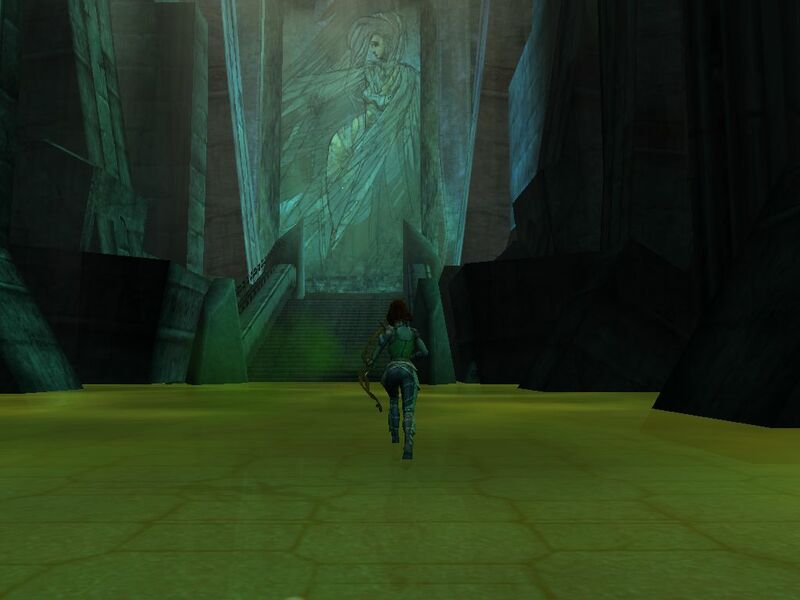 And here’s another painting, this time in Seared Ascalon. They didn’t scrimp on detail; even relatively small things like this art of, what is it, dragon wings, on this long mural is done extremely well. It works from both artistic and world-design standpoints. And here we see, again, the major places you could visit in the betas. This does not show outposts, you need to zoom in to view those, but it gives a good sense of what was revealed before release and what was held back. 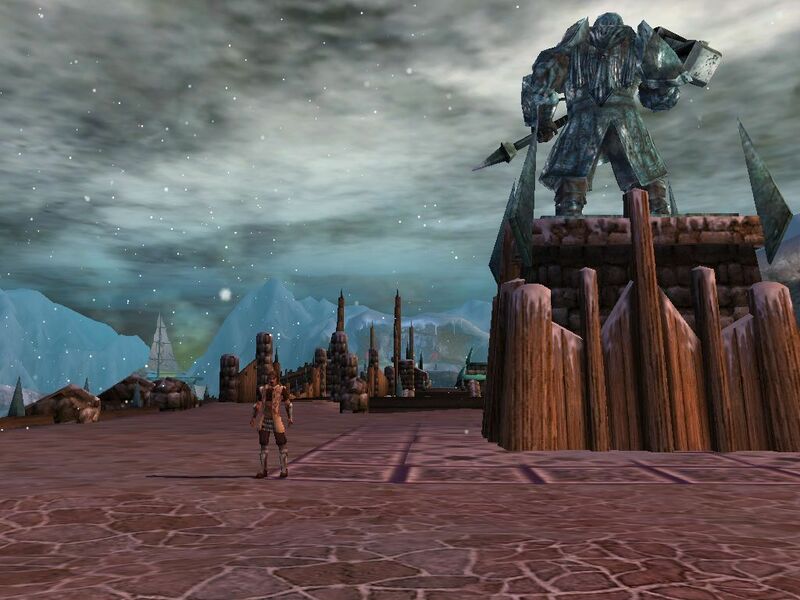 In the betas I often wanted to explore more of the snowy areas of Tyria, beyond areas like this at its start… well, not too long to wait now, only a month to go. Now the Henchmen have actual names and unique looks, instead of their generic names and appearances before. 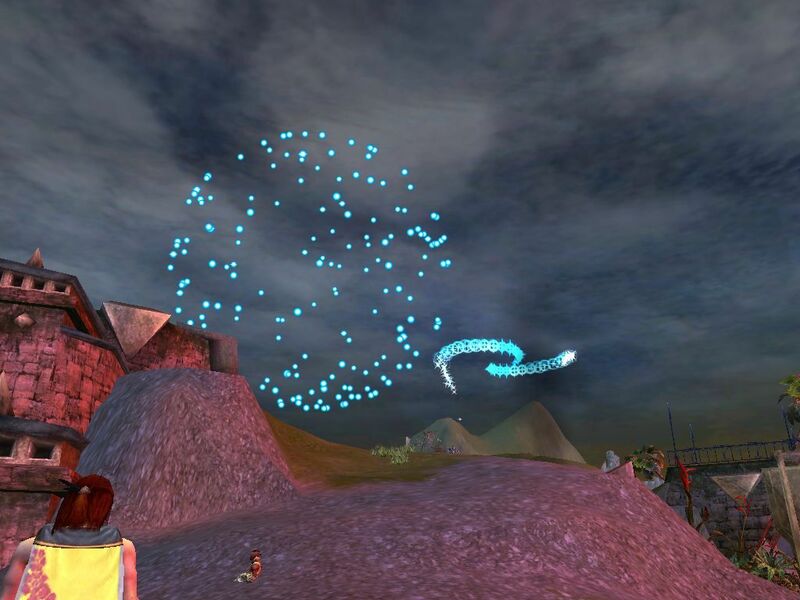 And now the actual gameplay shots are over, it’s on to the closing event. 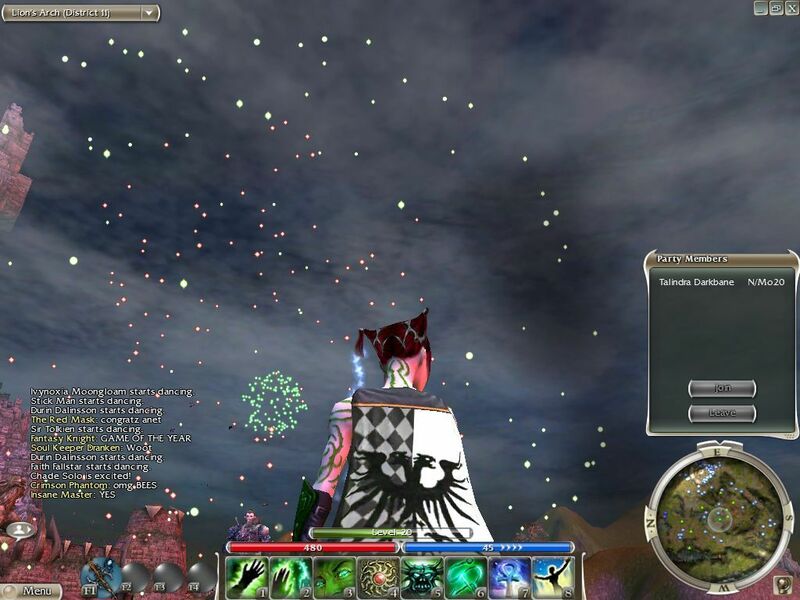 First, some nice fireworks and old chat. Isn’t it pleasant? Game of the year (2005)? Yes, absolutely! I probably should have cut some of these fireworks shots, but I decided to post all of them to celebrate the end of the betas, even though most are nearly identical. That’s the way to look. I like reading all these chatlogs too. The Necromancers basically dance Thriller. 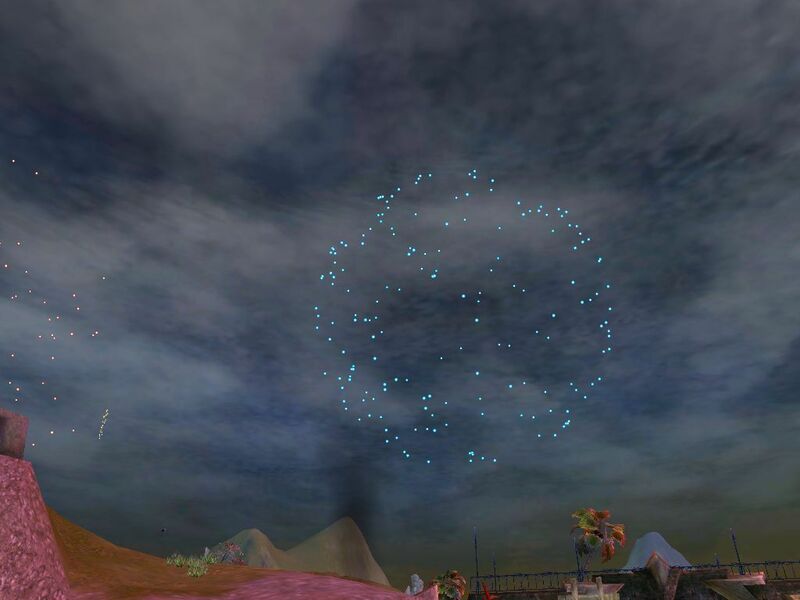 Dance and fireworks together! What a nice party. People are dying left and right, though many would be resurrected randomly after a while. That was a close one, it almost got me. Yeah, the giant wyrms are quite large, and the way they unpredictably erupt out of the ground and damage anyone above them can be tough even when you CAN fight back. 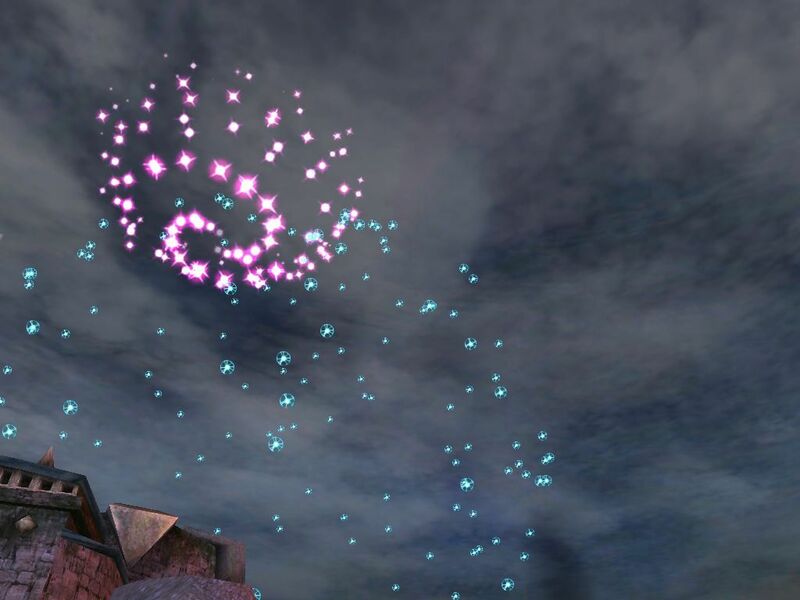 I decided to leave Lion’s Arch and see if the Wyrms were anywhere else. 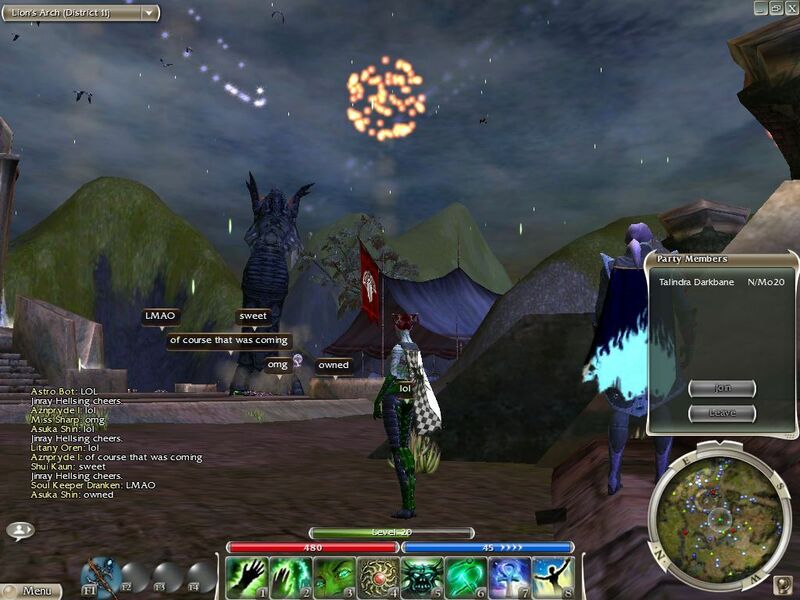 Well, they were also in Ascalon City, that’s for sure, as this shows! 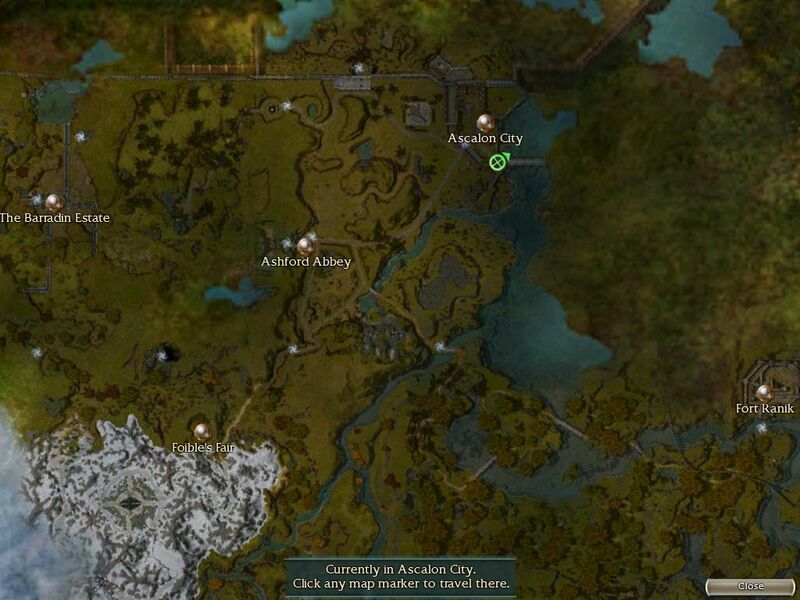 The page for the betas on the Guild Wars official wiki doesn’t mention that they were in Ascalon City too, along with Lion’s Arch and a few other places, but here is proof that they were. 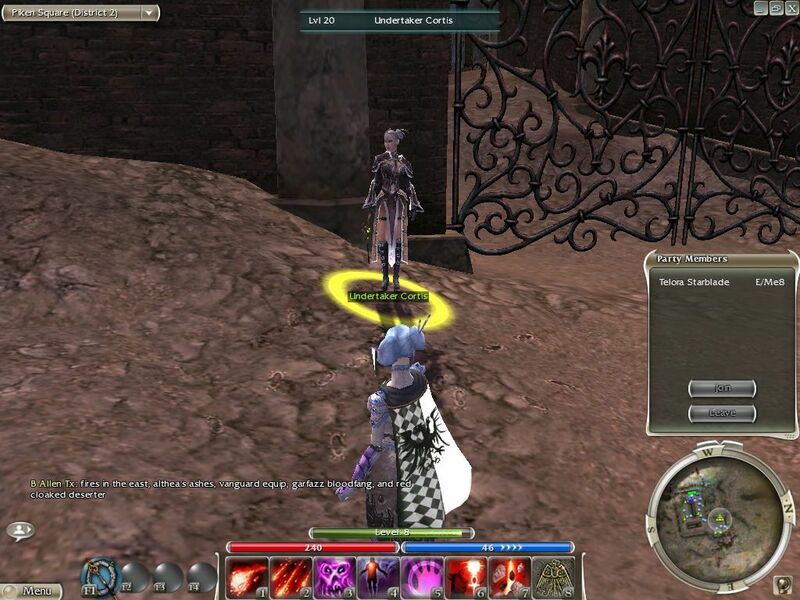 Gah, it got me, here in Ascalon City. I tried to escape… but with the betas ending, I took that shot I mentioned at the beginning of this article about how long I’d been playing as this character — 61 hours as Talindra since the January beta. Not bad for effectively eight days of availability! And as the shots show I did play the other characters some here and there, too, so that’s not the overall total for the 2005 betas. Oops, that’s not good. 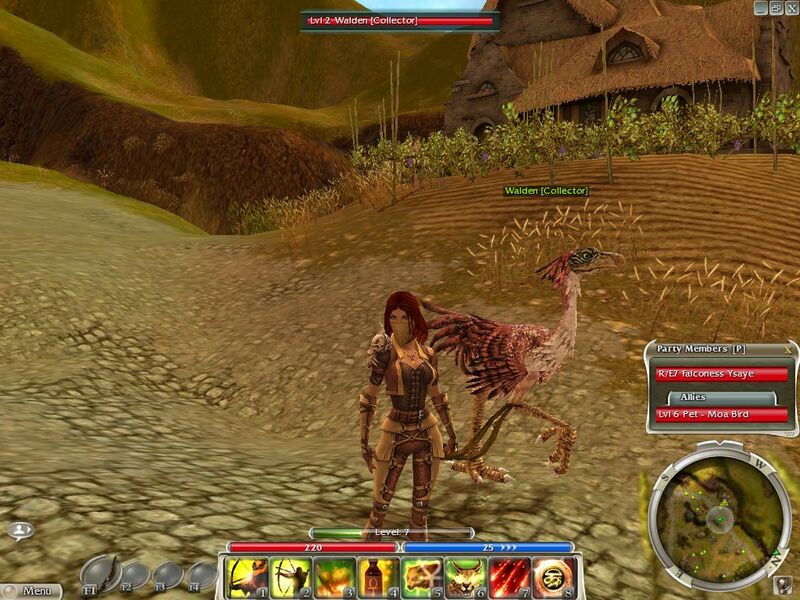 Guild Wars almost never crashes! But sadly, to finish the last beta, the graphics crashed at the end as they shut it down. It’s pretty neat that it let me take this screenshot remembering that, though! 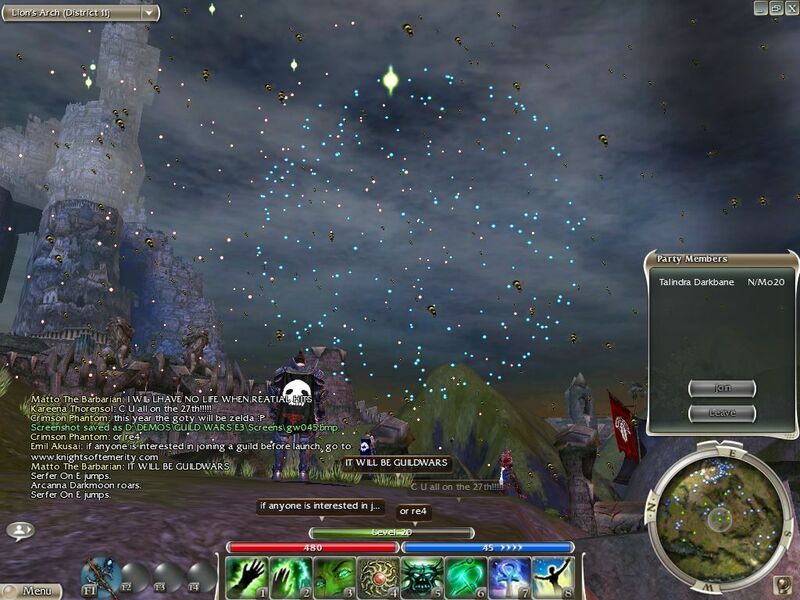 And with that, the Guild Wars betas ended. 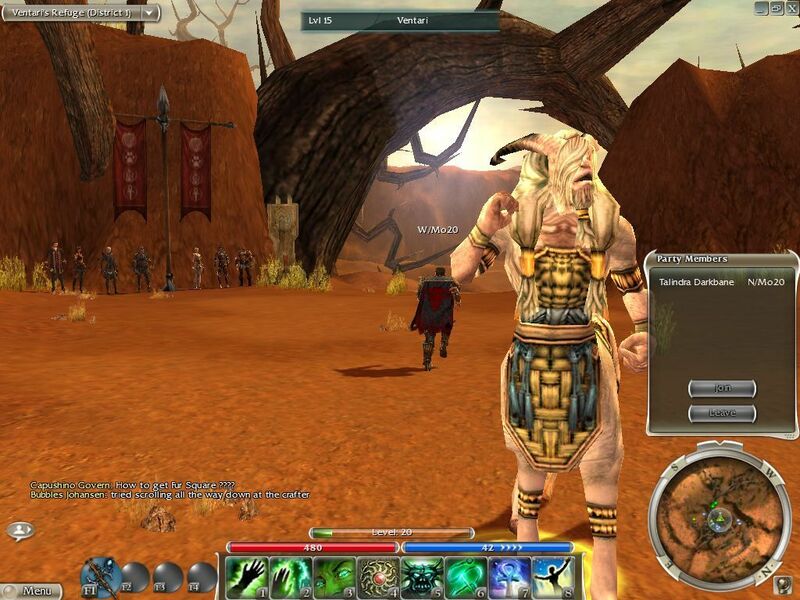 Once Guild Wars finally reached its release day in May, those of us who had preordered the game, as I had, were allowed to start playing a day before anyone else. Yes, the idea of giving early access to games to people who pay ahead is not new. It is more common these days, but it isn’t new. The difference is, all you and to do here was pay $5 for a preorder copy of the game, which I had done at Gamestop some months earlier, and you’d get that access; you did not need to actually pick up your retail copy of the game to do so. Instead, anyone with a preorder could play for that zero day and then the first public day without needing to enter a key, but after that you’d need to pay. Now, there probably was a way to digitally buy Guild Wars, but that wasn’t something I could do at that point in 2005, I either had to or wanted to go to a store and get a boxed copy of the game. However, April and May were finals time at college and I had preordered at a store back at home, so I could not get to the store to pick up my preorder close to release. As a result, I played for the two days allowed without entering a retail key, then stopped for what ended up being a month or two before I finally got around to buying a retail copy of GW. I believe my preorder had expired by that point, so I had to pay full price. The $5 that preorder box cost me — and yes, it was an actual boxed thing that I still have — was well worth it for the scores of hours it got me, though! Screenshots from after I finally bought the game are for a future post, though; this is just for those two free days of access I got with my preorder/beta key. While in the later betas I’d mostly been playing as my necromancer, I remade both the Ranger and Necromancer characters on day one and chose to start with the ranger, since that was the character I had first played a year earlier. So, here are a bunch of shots of playing pre-Searing again as my Ranger, followed by a couple of shots from Seared Ascalon. Losing access to all of the later parts of the game that I’d been playing so much for quite some time was kind of a shame, but it gave me something to work for. 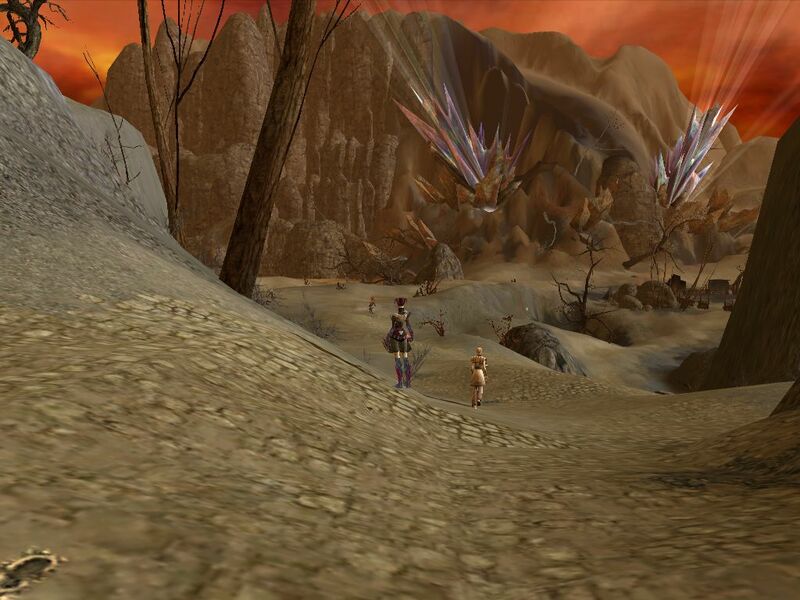 Guild Wars is such a beautiful looking game, even today! Very nice action shot here! That’s water there, not ground. Poison water. Despite that, I took this closer-up shot of a damaged mural. You want to run through the poison quickly, so as to not die. Much unlike later parts of the game Pre-Searing is easy, but it is possible to die if you mess up, as always in this game. 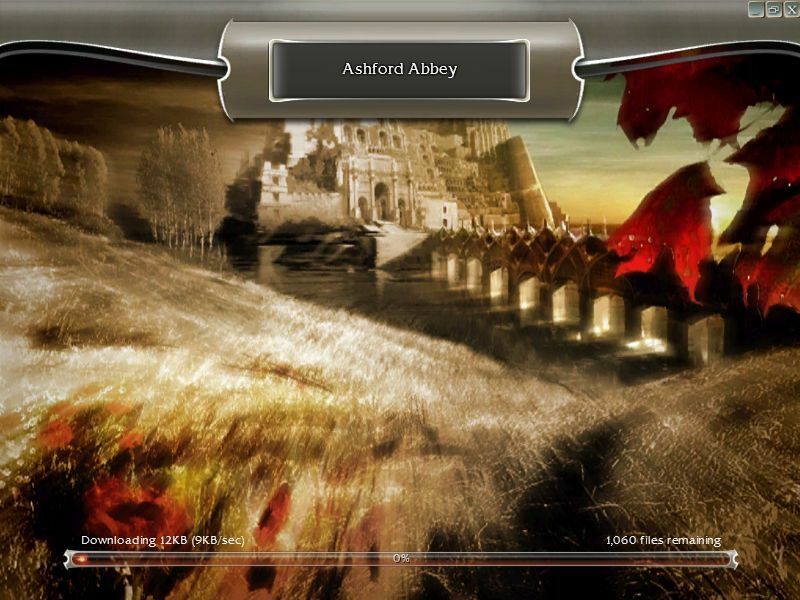 Out of the Catacombs, I return to idyllic Ashford village. Cynn is probably my favorite of the four heroes. 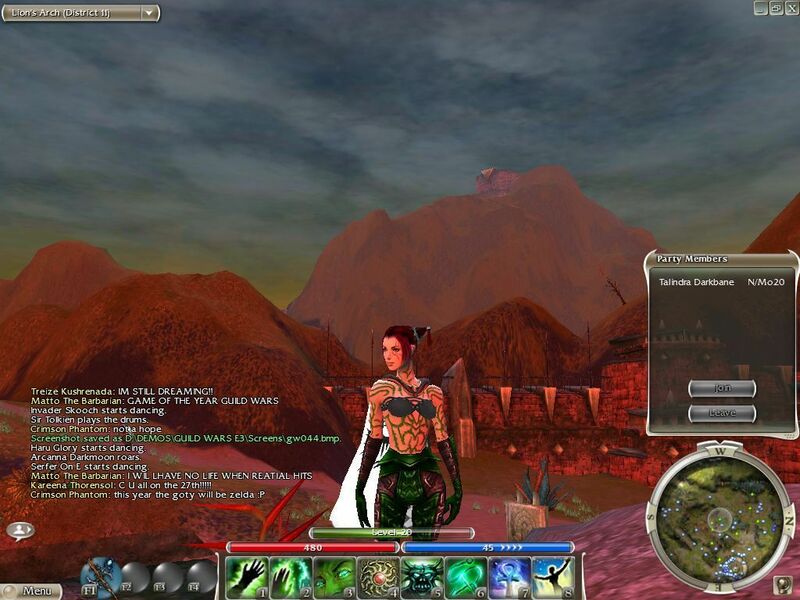 Here she’s just a normal person, but after the Searing she wants to burn the Charr with fire. That sounds like a good plan, most of the time… And yeah, she’s also on the poster. Devona is the one in the center on that poster, but I don’t have a shot of her here. No, my Ranger doesn’t still have Firestorm today, I swapped it out at some point for an all-Ranger (and res signet) skillbar. But I sure did keep it for a long time. 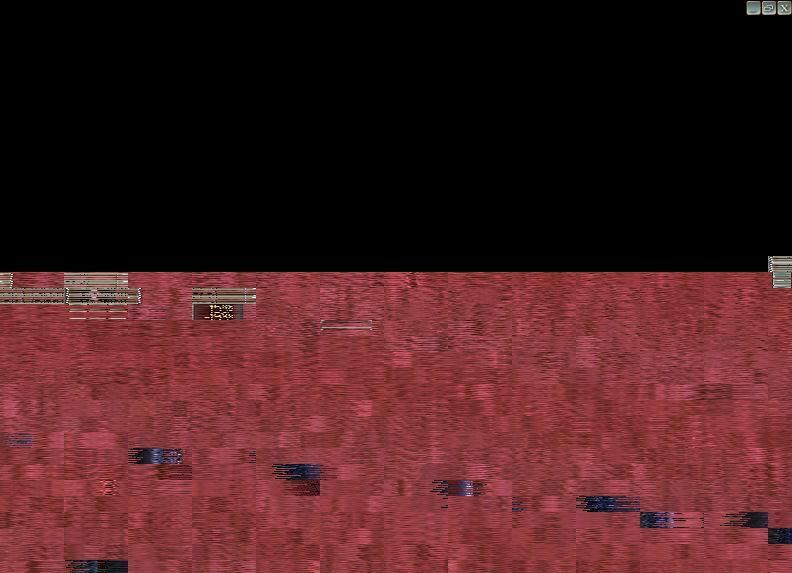 It’s that ominous cutscene again… I know what this means. More fields. The enemies in this area sure are easy. Instead, yeah, my next screenshot is this. 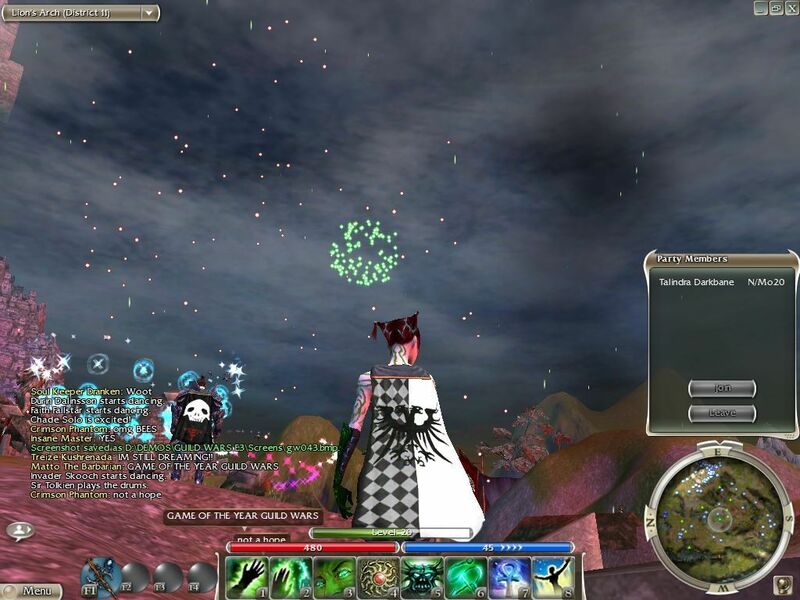 I think this is from Seared Ascalon? 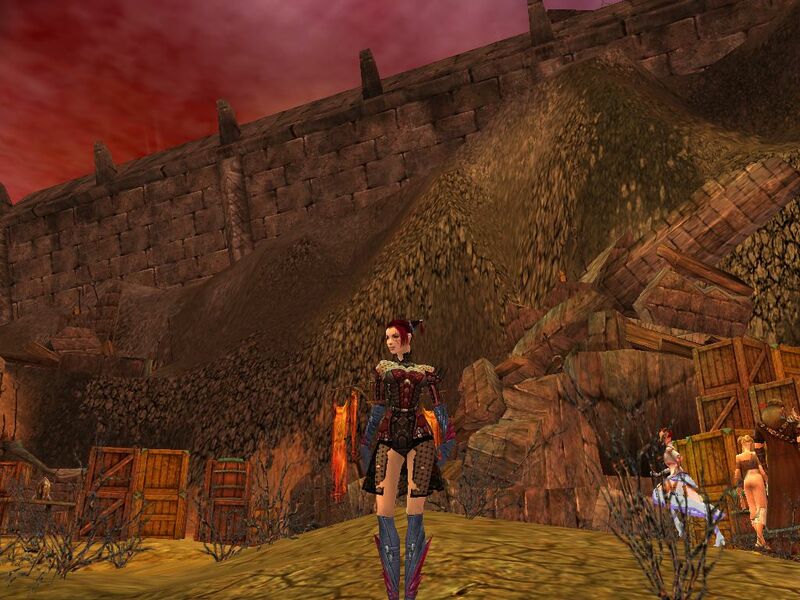 If it is pre-Searing, it’d be the only screenshot I have of Talindra in pre-Searing, oddly enough. I think this might be from after the Searing, though. For some reason I didn’t take any screenshots of Talindra in pre-Searing other than maybe this one. I don’t know why. I can understand that after playing through pre-Searing pretty thoroughly with one character and facing that two-day time limit I wanted to get through it as quickly as I could with my first character so I probably zipped through it with Talindra, though, and I had just taken a bunch of shots of pre-Searing, but still it’s a little odd. Oh well. The Ascalon Arena has been remade and here is its release form, the new Ascalon Arena with a pool of water in between the sides instead of that V-angle of ground. 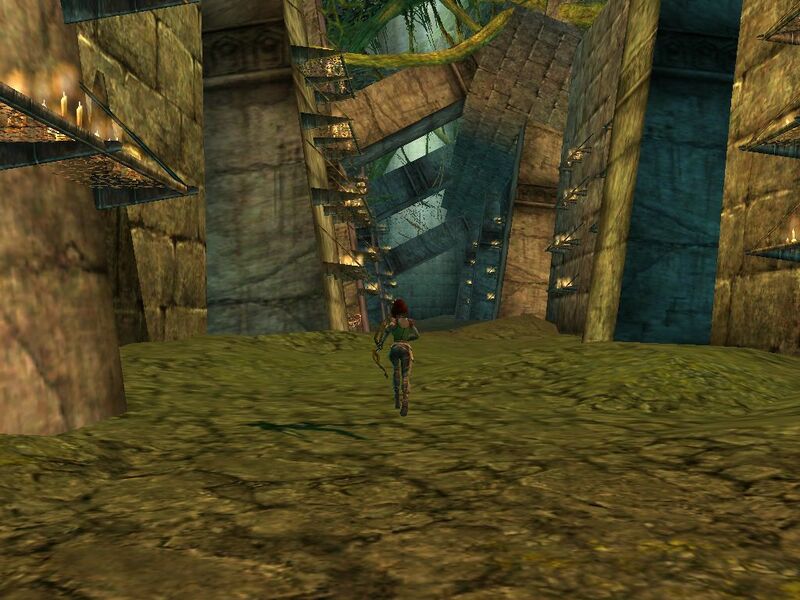 Shift+Printscreen definitely momentarily increases graphical detail, you can see that again here. I know I said it before, but Devourers, like a lot of monsters in this game, are ridiculously huge compared to the size of real-world creatures. I don’t ever want to see a scorpion larger than a horse! 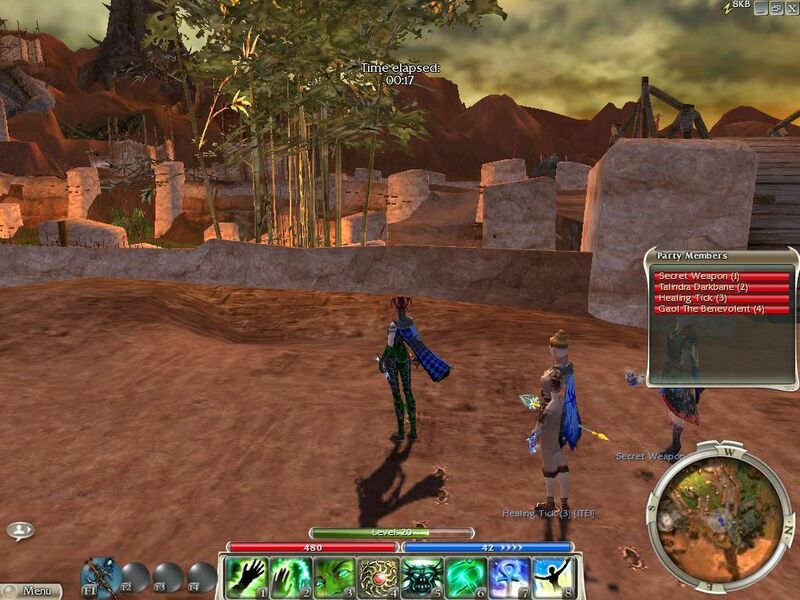 The Ascalon Arena lobby isn’t as populated as it was in the betas where this was the only arena, but it was possible to find a match. 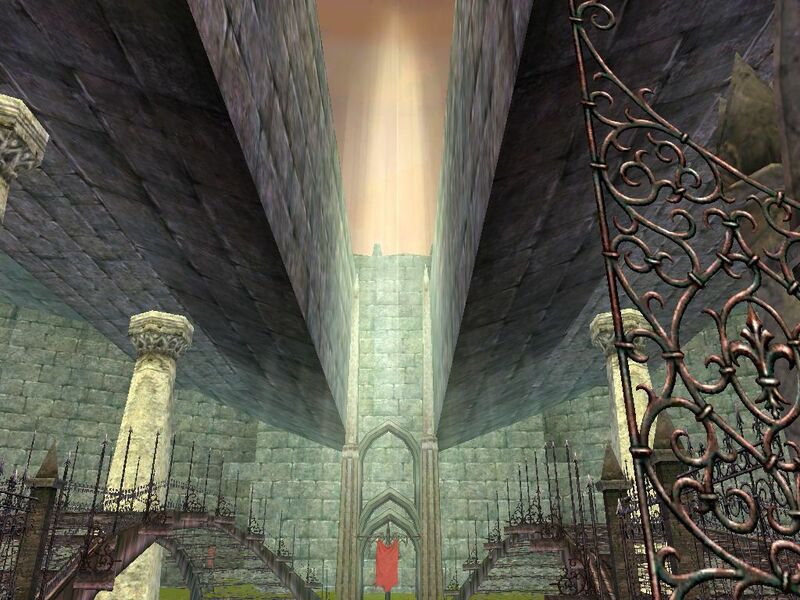 This wouldn’t last of course, since only low level characters can fight here. 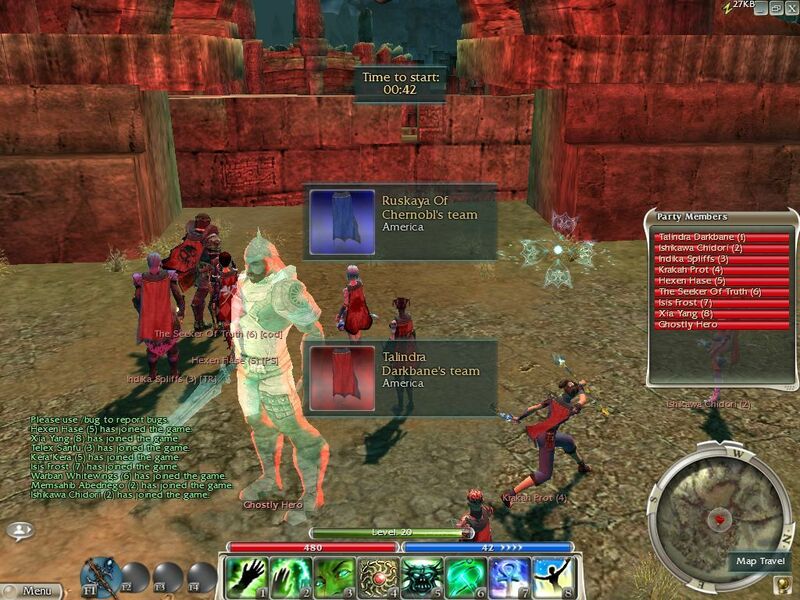 And here’s another shot from a random arena battle in the Ascalon Arena. 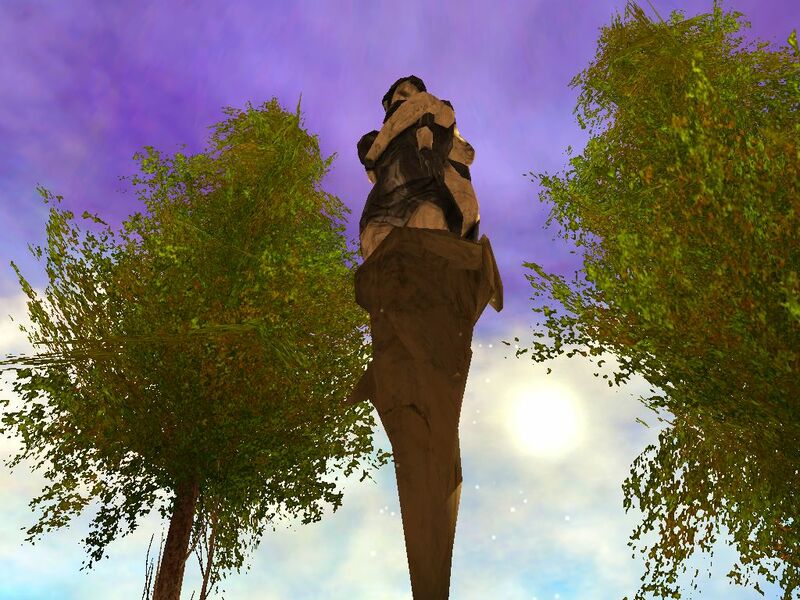 And last, the sights of Seared Ascalon. 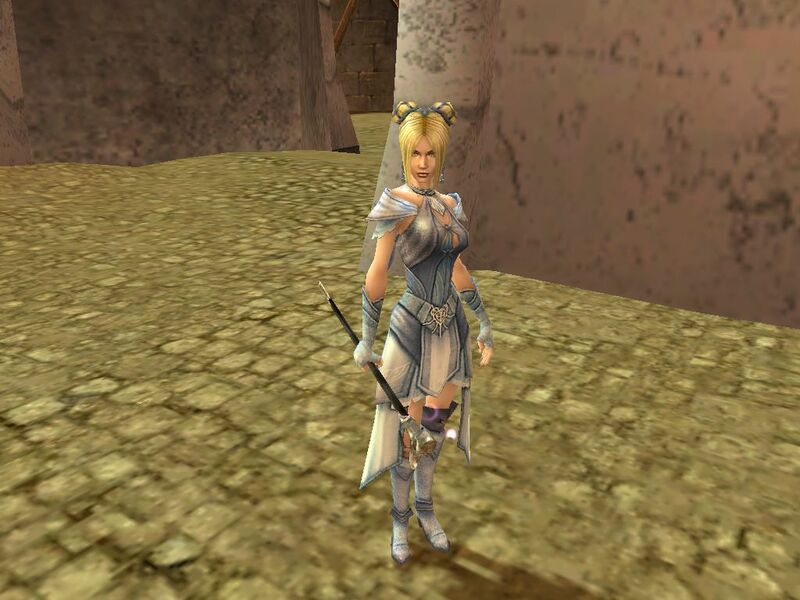 And with that, the two-day preorder release access period (from early in April 27 to early in April 29, 2005) ended, and I would not be able to play Guild Wars again until I bought the game in early June. I treated it like one last BWE, just in the final game this time, pretty much. 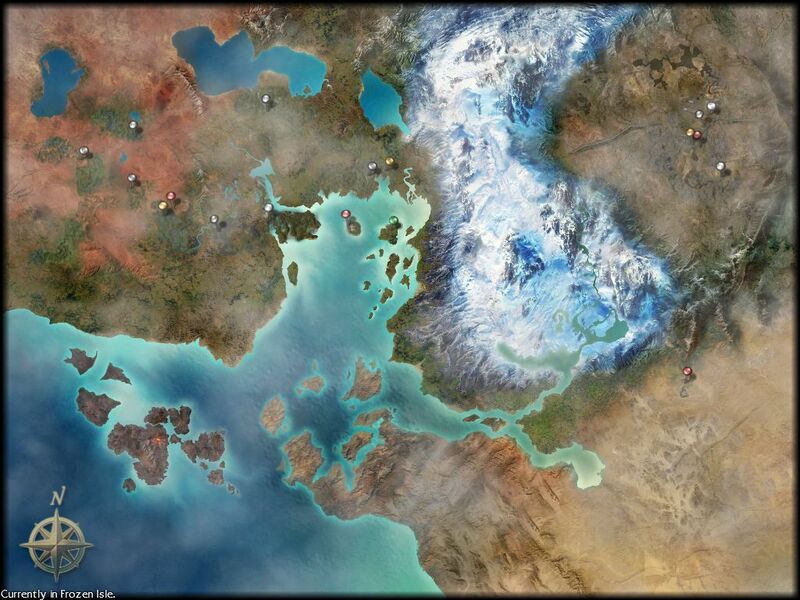 To conclude, remember that fan-made map of the whole Guild Wars (Prophecies) world that I said I contributed to? 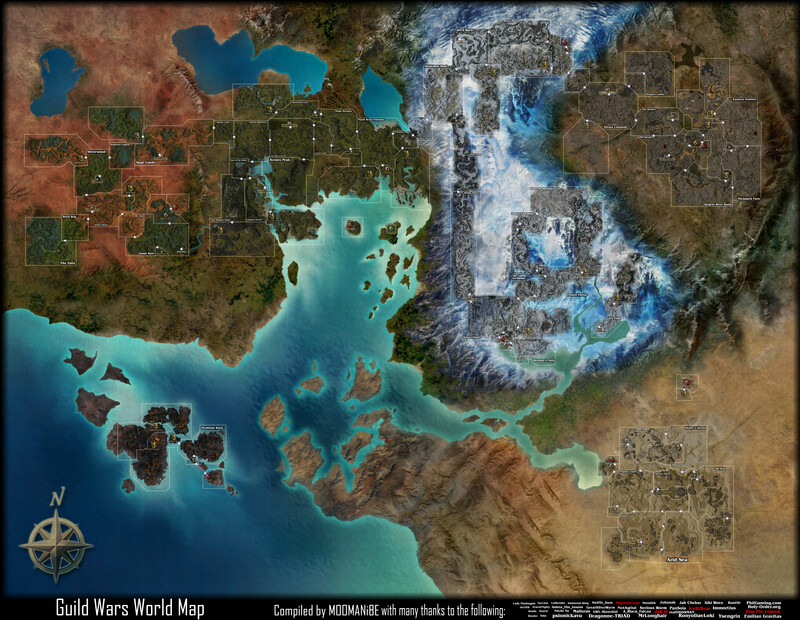 Well, here is the final map, file last updated May 5, 2005, shortly after the game released. Here is the final fan-made Guild Wars world map, compiled from maps made by all of the people listed on the bottom, myself (A Black Falcon) included. 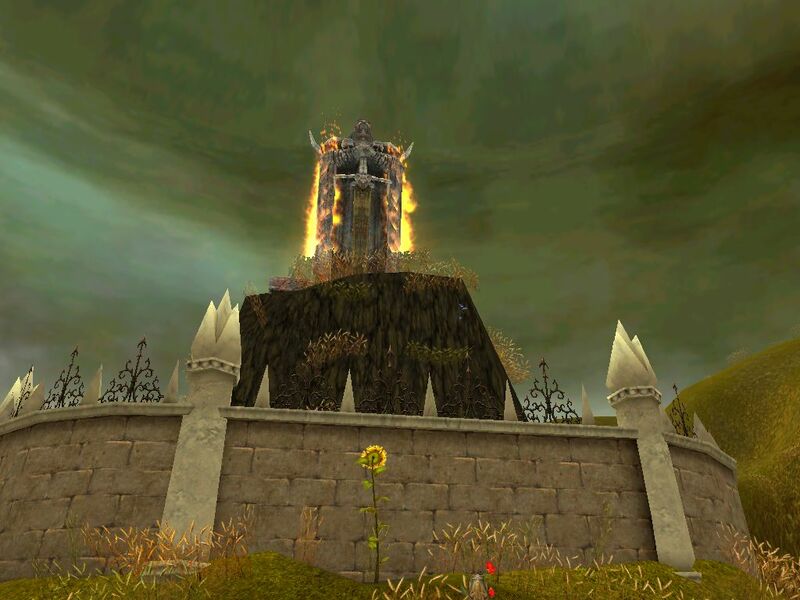 Yes, this is the full world at release; the Sorrow’s Furnace area of the South Shiverpeaks would not be added until later in ’05. 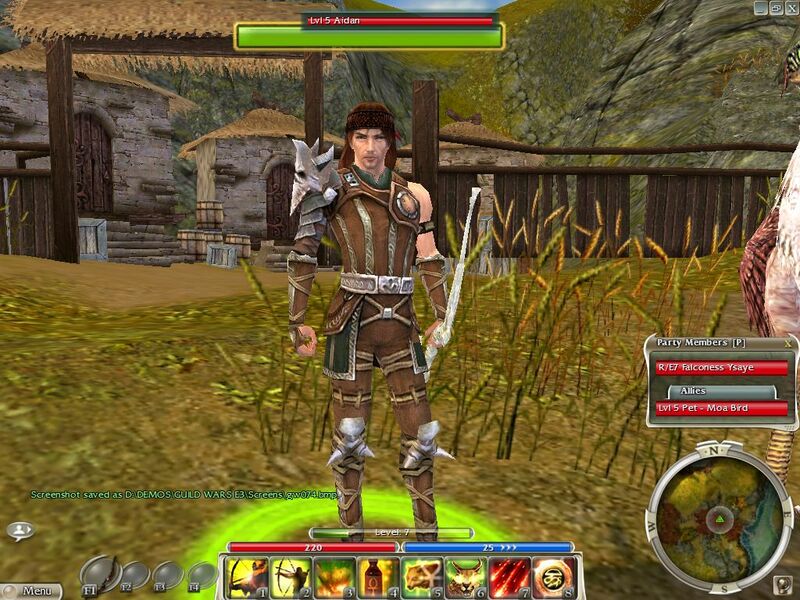 So that’s it, that was the Guild Wars pre-release access period. 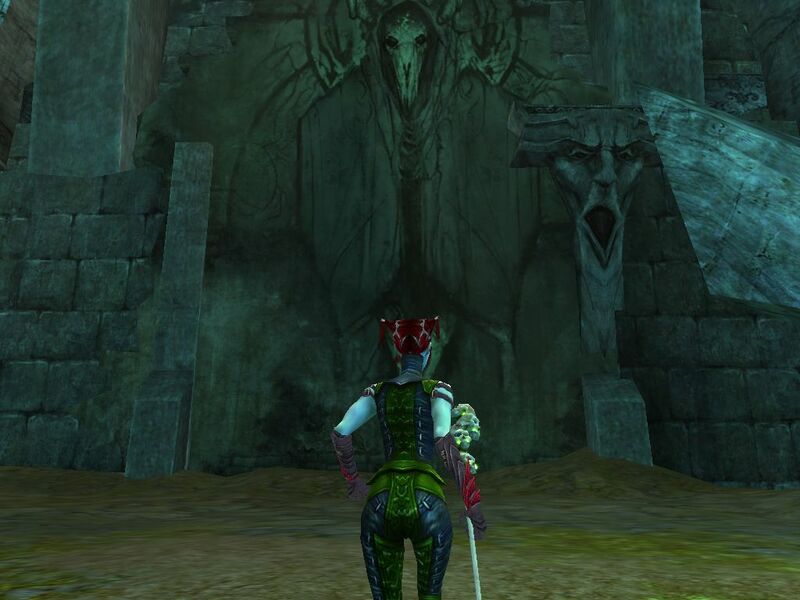 I posted most of the screenshots I took during that period, and I hope that they help illustrate the many changes Guild Wars went through during its year in open testing. I kept playing the game after release, though, and I will make more posts filled with screenshots that I took of the final game. Don’t worry though, I will get back to writing other articles on this site as well. 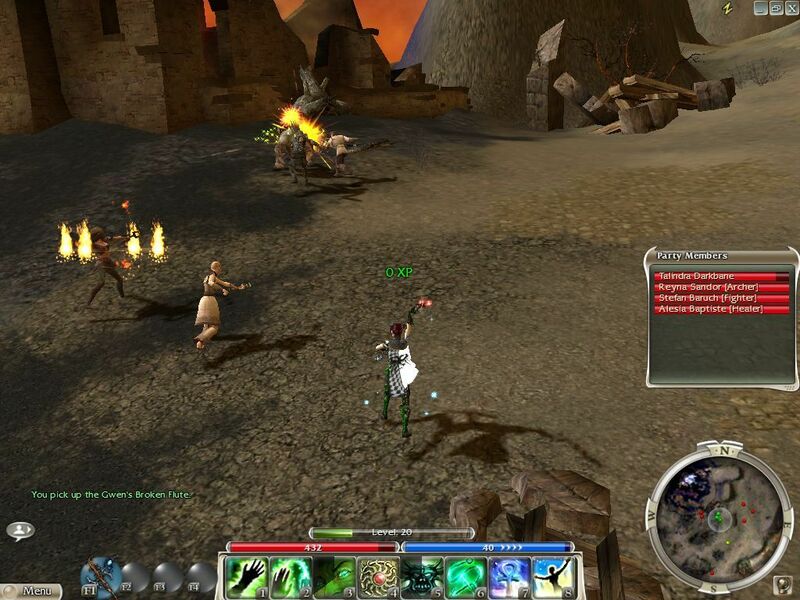 This entry was posted in Articles, Modern Games, PC, Uncategorized and tagged Arena.net, Articles, Guild Wars, pc. Bookmark the permalink.